Shola Ama is certainly no newcomer to the UK music industry. Her debut album Much Love entered the UK charts at #6 selling over one million copies and scoring Shola the Top 5 singles ‘You Might Need Somebody’ and ‘You’re The One I Love’ to name a few. 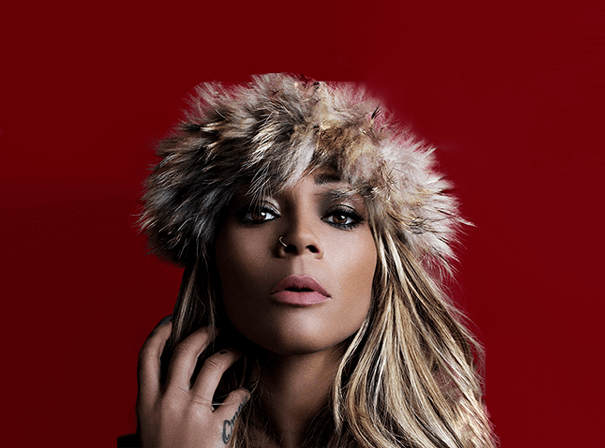 The culmination of her critical and commercial success resulted in four Mobo nominations with Shola going on to collect two awards in the form of Best Newcomer and Best R&B act. Shola has toured extensively across the UK and was a special guest to a whole host of artists (Fugees, 3T, Jamiraquai). She also headlined the 98 Rhythm Nation Tour feat Glamma Kid, D-Influence and Rashan Patterson. Furthermore, Shola was nominated for two Brit Awards and went on to pick up the gong for Best British Female, the crowning achievement for an incredible journey. Between albums, Shola collaborated on the Glamma Kid single ‘Taboo’, reworking the Sade classic and making it effortlessly her own, scoring her yet another Top 10 single. More albums followed and she then began a sell out UK tour which took her and her band all over the country extending to an extensive French tour and she also performed at sold out shows in Germany, Italy and Switzerland. Shola’s single ‘Imagine’, remixed by Asylum, went on to become one of the biggest club singles of the next three years. Shola has also been a guest judge on the show Pineapple Dance Studios, is also on a number of other TV shows and regularly gets played on the radio. Now getting remixed by the likes of Toddla T on Nina Tune, Shola is a veritable vocal star.